This handcrafted, unique collectible crystal features 3D etched Arches that can be viewed from all sides. - Measures 2" x 3-1/8" x 2"
Back by popular demand! 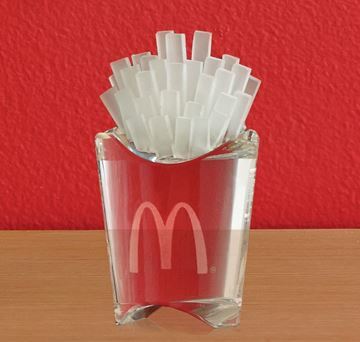 - Handcrafted 8% lead crystal fry box. 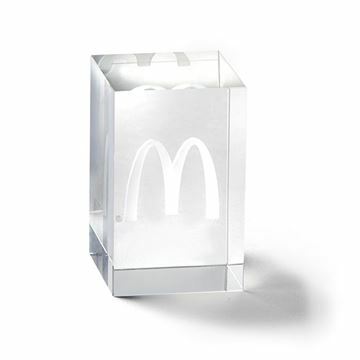 - Measures 2-1/4" x 15/8" x 33/8" - Comes packaged in a beautiful presentation box. 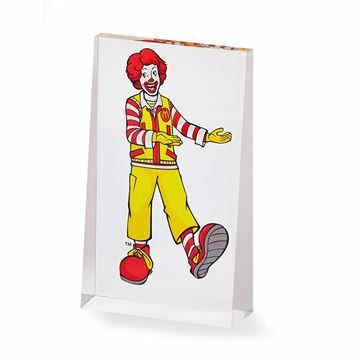 Acrylic wedge with full color Ronald McDonald imprint. 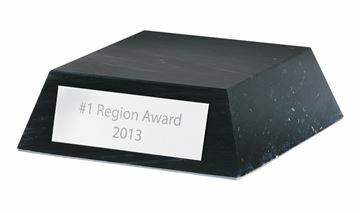 Great marble base with engravable plate. - Measures 4 1/2" x 4 1/2" x 1/2"